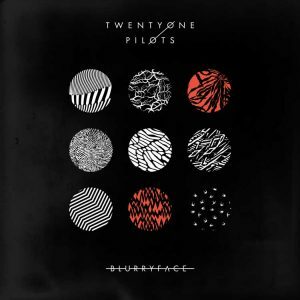 Today’s album, Blurryface by Twenty One Pilots, explores the many ugly heads of ‘insecurity’. Fun times! But there’s a catch… The artist (the author and musician) is very much a part of the tale, which leads to a rather — wait for it — “meta” plot-structure. Yes, that label, “meta” (as groan-worthy as it has become in pseudo-academic culture), adds a strong dimension to Blurryface. That being the case, starting at 1:34:55 we take some time to explore the use of “meta” elements in other pieces of music, as well as some common fallacies that have erupted from the word itself. alternative hip hop, hip hop, indie pop, pop. Bookmark. Hey guys! 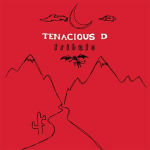 Long time no comment, but I had to stop by to say that I’m really stoked you did an episode about this album! Back when it came out I wanted to send it in as a suggestion but I felt that would be greedy considering you had already done an episode at my request for “We Cool?”. So I was pleasantly surprised when this popped up in my feed. I think your review was pretty much spot-on, as per usual. The first half of this album is definitely the stronger half and I often find myself switching over to something else or just generally losing interest once I hit The Judge. The second half isn’t bad, of course, but it does seem to just kind of meander on the same points, with shining moments here and there (Mostly with “Message Man”). I will say that while it does feel a bit misplaced in the context of the entire album, I really do enjoy the song “We Don’t Believe What’s On TV.” Most likely because I’m more partial to the upbeat punk-ish feeling of it, but that song definitely grabbed my attention and I love hearing it when it comes on. I also liked your read of the line “My taste in music is your face” from the track Tear In My Heart. I never really heard it as a sarcastic throwback to music elitism, but rather as an endearing statement towards the woman who is the subject of the song. My take was that “the songs on the radio being okay” was all of the other girls and how they’re fine, but his “taste in music” was her – a song that really shines and stands out among all the noise. Lastly I feel the need to point out that my favorite part of Fairly Local that wasn’t touched on in your podcast is the fact that the “oh oh oh oh oh oh oh” in the hook actually counts up with how many times it’s happening. In the first hook you hear that part once, in the second twice, and so on. Maybe it’s not as subtle as I feel like it is, but once I realized it was happening I thought it was a really cool touch.